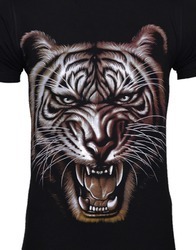 We are a leading Manufacturer of tiger glow designed t - shirt mens, printed t shirt, printed full sleeve t shirt, casuals mens t shirt, designed t shirt and mens t shirt from Tiruppur, India. Fabric : Premium , Export Quality , 100% Super soft combed cotton. Eco-friendly, soft-flow dyeing, knitted on German knit machines and vacuum pressed for a perfect. Wash Care : Use gentle detergents. Do not bleach. Do not iron directly on print. Beware of Dhobi. Showcase your style with this cotton printed t-shirt which works well in all seasons - summer tee, winter t-shirt or to fill your autumn and spring. 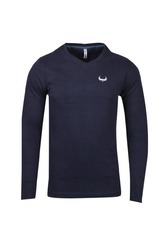 This half sleeve t-shirt for men is an essential everyday item for every wardrobe. 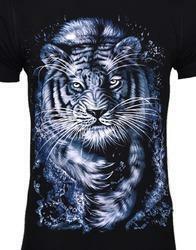 Pair this casual t-shirt with jeans, shorts for cool urban looks. The fancy t-shirt for women will be a perfect addition to your fashion apparel. This round neck t-shirt is also a great for boyfriend or for girlfriend. It is also a for husband or wife. This stylish t-shirt is a perfect birthday anniversary or any occasion when you want to something to your friend. 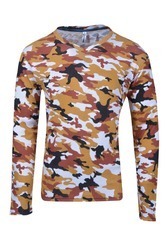 Our range comes in an array of colors and trendy printed t-shirts.